Girl Talk is a bi-weekly look at women in film — past, present and future. The Tribeca Film Festival’s origin story is memorable — created in the wake of 9/11, designed to reinvigorate downtown Manhattan via art, culture, and co-founder Robert De Niro. However, 15 years later, the festival may be best known for its struggle to find and maintain an identity. The festival has dug into new mediums, from television and virtual reality, to set itself apart, but this year it may have discovered the prime differentiator: female filmmakers. They’re hardly the first to identify the need; there are a number of festivals specifically dedicated to furthering female filmmakers including Bentonville, Athena and Maine’s Bluestocking Film Series. However, most mainstream festivals struggle to effectively and satisfyingly build in female-facing programming picks and special events. Tribeca, however, may have cracked the code. This year’s festival includes its largest crop of female-directed films yet, almost a full third of the total lineup. And while those numbers are impressive, where Tribeca really excels is in creating a female-friendly, mainstream festival that goes far beyond programming. Do you want to see more women in film? Tribeca may have the answers for how to do it in a fun, creative, and organic way. One such event? The annual Female Filmmaker Lunch. Held on the first Friday of the festival, it provided an early opportunity for female filmmakers to meet and mingle before the festival got rolling. Started in the festival’s second year, the event (buffet-style, with lots of passed cocktails, all the better to facilitate attendees’ packed festival schedules) has become one of the best bonding venues for female filmmakers that Tribeca has to offer. The event was attended by an impressive lineup, from first-timers like “All This Panic” helmer Jenny Gage and “Women Who Kill” director and star Ingrid Jungermann to established talents like Julie Taymor (at the festival as part of the Tribeca Talks series with another female filmmaker, Jodie Foster) and actress-turned-director Katie Holmes. “It’s really about daring women and what we can all do together,” Rosenthal added, neatly tying the event to another big, female-facing events: Tribeca’s first annual Daring Women Summit. Held on Wednesday, April 20 at the Festival Hub, the newly launched Daring Women Summit played to a packed audience of ambitious young women. The event’s logline was a mouthful; it was billed as a “day of first-hand storytelling [that] celebrates today’s most influential women in arts and technology who have risen to the top of their respective fields by eschewing traditional career trajectories in creating their own paths.” To put it another way: It was the chance for women to talk with other women about how it’s really done. In her opening remarks, Rosenthal touted some of the more heartening demographics of this year’s lineup. Thirty percent of the films came from women, including 38 feature directors and 19 short directors. Of that crop, 15 directors are first-timers. Rosenthal’s announcement of each number was met with loud applause and cheers from an eager audience, women (and, yes, some men) happy to hear that change isn’t just on the way, it’s starting to show itself. But the summit’s real draw was the wallpapered notion that it was about women helping women. “These speakers have not only created opportunities for themselves, but they have created opportunities for other women. They have supported each other and mentored the generations behind them,” Rosenthal said as she introduced the summit’s lineup, which included influential women like Samantha Bee, Donna Karan, and Mya Taylor. That idea — that successful women can (and perhaps should) give a leg up to other women — was best exemplified by the first event of the summit, a behind-the-scenes look at Bee and her “Full Frontal,” featuring late night’s only female host in conversation with her producer Allana Harkin and TheLi.st co-founder Rachel Sklar. For Bee and Harkin, walking the walk is just as important as talking the talk. “It’s a mandate for the show to always be moving the needle forward,” Bee said when asked about creating an environment where diverse voices could thrive. 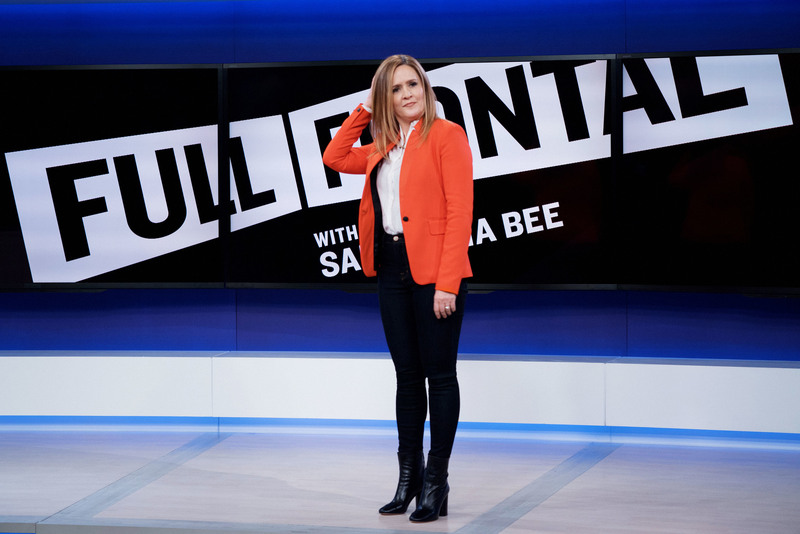 At “Full Frontal,” women rule. Beyond Bee and Harkin (and, given the dearth of female voices on the late-night circuit, two high-ranking women would be more than enough for most shows) the show is rounded out with plenty of other female professionals, including their showrunner, their stage manager, and even their warm-up act. Bee and Harkin are not only co-workers, they are best friends. Their relationship started in the late ’90s, when Harkin hired Bee as a member of the all-female improv troupe The Atomic Fireballs. The two have been inseparable — both personally and professionally — ever since, and when Bee was tapped to host her own late night show for TBS, she knew only one person could be her producer. The summit also included chats with Hollywood mainstays like Rosie Perez, a section dedicated to the power of podcasting, and a segment about “Using Your Platform” for career advancement. That panel was powered by a variety of Hollywood talents who included “Tangerine” star Mya Taylor, fresh off her groundbreaking Independent Spirit win; she mentioned that she is working on creating a television series that will star another trans actress. For Taylor, her own success is only as good as the opportunities she can make for others. Co-panelist Kristi Zea, a long-time production designer on such classics as “Goodfellas” and “Silence of the Lambs,” was at the festival to screen her documentary directorial debut, “Everbody Knows… Elizabeth Murray.” Even Zea, a Hollywood mainstay who has worked on some of the industry’s biggest films, felt inspired and invigorated after the summit. Other Tribeca events leaned heavily on the idea that successful women could create real change in the lives of their younger counterparts. A special surprise screening of a pair of short films crafted around the music of Alicia Keys not only served to show off Keys, but to introduce a packed Highline Ballroom to the talents of director A.V. Rockwell. Keys, who stars in and produced both shorts, found Rockwell through another female friend, who introduced the songstress to the budding filmmaker, a female creator on the rise who is still perfecting her craft while she finishes her Masters at NYU. If there was one complaint of female filmmakers at Tribeca, it was logistics — a long-term issue for the notoriously spread-out festival. And yet, the day we spoke with Takal (who, incidentally, debuted a film at the festival that was entirely about what happens when two long-time friends start feuding over professional jealousies), she was eagerly anticipating a Film Fatales event later in the evening, where she did get to network with a number of other female filmmakers (including “AWOL” director Deb Shoval, Jungerman and “Equity” director Meera Menon). Even at an event not directly sanctioned by the festival, Tribeca’s many female filmmakers still managed to find each other. “The Meddler” director Lorene Scafaria, who arrived late to the festival (her film premiered at TIFF in September and she was already gearing up for its release by the time it was listed as part of Tribeca’s Spotlight section), was similarly confused about her place in the festival, even as she was hopeful about this year’s lineup. 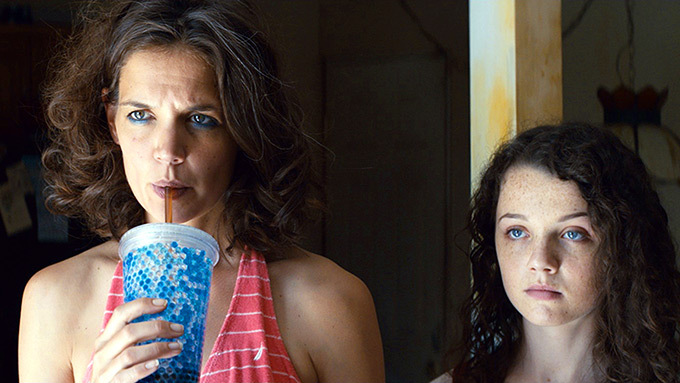 Tribeca isn’t the only mainstream festival pushing harder into debuting films helmed by women. This year’s Sundance Film Festival featured an impressive lineup of features directed by women, most noticeably in the U.S. Dramatic section, where five out of 16 films came from female filmmakers. For Goodhart and other directors like her, the festival experience serves as an invaluable showcase for their work. “If you don’t get an opportunity to show it, you’re fucked, basically. There’s no way to move forward,” she said. READ MORE: Girl Talk: Five Years After ‘Bridesmaids,’ What Does a Female-Led Comedy Look Like?